Welcome to a new version of The Brunch Bulletin, the monthly Beatle Brunch newsletter, now going out mainly through social media and on our website, brunchradio.com. There’s LOTS of Fab news this month, starting with Paul McCartney’s NEW U.S. tour dates for his One on One tour. He’ll be playing Miami, in fact, kicking of the tour from The American Airlines Arena on July 5th, where he last played in 2005, and just like that show, he follows it with a concert in Tampa on July 10th. Paul’s last Miami concert was on April 3, 2010 at Dolphin’s Stadium, the above photo is from the 2010 show. See Paul’s complete summer tour itinerary on our website here. You can hear two of the four tracks in the Brunch Bytes section of our website NOW, and the other two tracks in the on-demand section of last week’s show, “April May Remember” (April 29-30), plus a special “Brunch Blend” as a bonus track in the on-demand section of the May 7th show, so join the BBC, one of the best reasons for membership in The Beatle Brunch Club. Pepper on Parade for His 50th – Listen! Recently, we hopped out of our Yellow Submarine and sent a few trusted souls to take a pre-Fab listen to the newly remastered Sgt. Pepper’s Lonely Hearts Club Band 50th Anniversary edition, coming to take you away on May 26th in several different incarnations, including the ultimate Deluxe box. Our Beatle Buddies Tom Frangione and Bruce Spizer were invited to attend a special press listening party for the CD in New York City last week, and not only did they see and hear a presentation given by Giles Martin, who oversaw production of the remasters, they actually met Elvis…Costello that is, who was there as a fan. Read their track-by-track assessment in the news section of our website, here. Now We’re Talkin’! Join Your Beatle Brunch Pals for a Live Chat Thursday! On the first Thursday of every month, Beatle fans from all over the world re-enact a much smaller version of “All You Need is Love” by logging on to our member website, at no charge of course, and talking all things Beatles with fans of a similar mind. It’s a fun way to keep score of who bought what, who’s attending the next festival, who’s got front row for Paul or Ringo and who put the bomp in the bomp bah bomp bah bomp. To join your Beatle Buds, just look for the banner like the one above on our website this Thursday first Thursday) at 8 pm eastern. Click it, create a temporary name and bomp on into the chat room. We’ll save a mouse for you. Upcoming Bruncher-tunities: New Beatle Brunch Shows! Thanks for listening to The Brunch every week, and so you can plan your weekends around it, check out our May lineup of shows. What’s that? Your local radio station DOESN’T CARRY THE BRUNCH? Don’t worry. Help! is on the way! Join The Beatle Brunch Club to hear every week’s show on-demand with bonus tracks, like special remixes, longer segments, non-broadcast interviews and much more. Click here to join for just pennies a day. Heading to Abbey Road on the River. Please Join Us Memorial Weekend! It’s not too late to book your discount tickets to join Brunch Host Joe Johnson in “Louisville North” (Jeffersonville IN) at Big4 Station Park for a Fab weekend of super stars and super tunes, Memorial weekend, May 25-29. In addition to 60-plus Beatle Bands playing all weekend long, hear performances by Peter Noone of Herman’s Hermits, Peter Asher of Peter and Gordon fame, The Family Stone, Mark Lindsay of Paul Revere and The Raiders, and The Jake Clemmons Band and many others. Click here to advance-order tickets. Save $30 off your Ticket to Ride when you use the promo code “BeatleBrunch”. There will be special presentations for Sgt. Pepper, as it’s the official Pepper release weekend. Don’t miss this Memorial Weekend Beatle Blast: Abbey Road on the river. And click here to see Joe Johnson’s on camera interview with event producer, Gary Jacob. In the first few minutes of the Ron Howard rockumentary “Eight Days a Week – The Touring Years”, Paul McCartney is asked by a reporter in 1964, “what place do you think this story of The Beatles will have in the history of western culture?” His answer: “You must be kidding. It’s not a culture, it’s a good laugh”. As usual, The Beatles get the last laugh in the film and in real life, in Howard’s primarily behind-the-scenes romp through Beatlemania. The film ranked number one in the specialty box office category its opening weekend, taking in $615K via showings at mostly specialty theaters. Hundreds of cities across America didn’t have the film to show, so fans in those cities had no ticket-to-see the film and have to catch it streaming on HULU (with a free trial), where it’s currently showing (minus the bonus Shea Stadium concert). U.S. Beatle fans get the most Fab for their Hard Day’s dollar, as the film highlights mainly concerts in America from ’64-’66. Some fans have groused on social media the lack of kudos to Pete Best (The Beatles original drummer), but truth is, the film is set around the touring years of 1963-66. Pete was dismissed from the band in August of ’62, months before the group had their first top 40 hit. Pete’s dismissal is addressed in The Beatles Anthology and keen eyes can spot him in one Cavern Club shot. Instead of talking about what’s missing, we can celebrate something new, like the serious press interview with the hilarious George Harrison flicking his ashes on John’s head. My theater roared with laughter when that scene hit the screen. As for other new footage, so much has been mined in previous documentaries: “The Beatles Anthology”, the Harrison doc “Living in The Material World”, “Imagine: John Lennon” in 1988, “What’s Happening! The Beatles in the USA”, the Maysles’ Brother’s Beatles invasion film, and even going to the one many feel presented the most honest portrayal of the band, “The Compleat Beatles” from 1982, which for years aired on PBS but went out of print when it was reportedly purchased by Paul McCartney. So while it was understandably hard to give us too much new footage, one scene that couldn’t be explained, but wowed the audience, yours truly included, was a crowd of several thousand men and boys singing “She Loves You” acapella in a large field. What’s hard to explain is why The Beatles first Ed Sullivan performance looked fuzzy and washed out, when a crystal clear print lives on DVD and was shown in The Beatles Anthology. Perhaps Sofa Entertainment didn’t give Apple clearance for this really big shoe? Similarly, The Washington DC concert, though colorized, also looks fuzzy on the big screen, but so many of those memories are themselves fuzzy, that it’s nice to have them appear now to refresh the memory for us and introduce them to new Beatle fans. What the film does provide, and rather generously, are clips supplied by fans, from The Hollywood Bowl and Candlestick Park concerts. Howard tells the story of one fan in San Francisco calling in to inform him that she had some undeveloped film of The Beatles final concert at Candelstick Park under her bed, and would he like to see what’s on it. Even Opie would say “yes” to that one, so we end up with a shaky shot of the often-described silver Loomis van hauling The Boys away from their final concert, August 29, 1966. As a fan, there are a few sidesteps in the film that seem out of place. Ron Howard included interviews and comments from many part-time Beatle fans and talking heads: Sigourney Weaver, playwright Malcolm Gladwell, author John Savage, Elvis Costello, roadie Ed Freeman, comedians Eddie Izzard & Whoopie Goldberg and others. Some of these are a good fit, but most are a distraction. In a pre-premiere interview for the film, we hear Ringo say “there was a lot of other people doing a lot of talking, which I believe he’s cut out (Howard)”. But despite Ringo’s plea, much remains and felt disjointed and forced. The personal racial integration story from Jacksonville told by Kitty Oliver was well placed as was composer Howard Goodall, who spoke on The Beatles as composers. Perhaps this little report featuring Meryl Streep at Shea Stadium would have been a nice addition. One interview that was welcome was former WFUN Miami radio newsman, Larry Kane, who traveled with The Beatles on their ’64, ’65 and part of their 1966 American tours. It was especially FUN for me, having grown up in Miami listening to Fun-79 for Top 40 hits, including lots of Beatle tunes. In 2002 I came across some long-lost reel to reel tapes of Larry’s Beatle reports and contacted him, which resulted in Larry writing his highly acclaimed book, “Ticket to Ride” in 2003. Larry was the one reporter who kept The Beatles on their toes, asking them questions about the assassination of JFK, racial integration in Jacksonville, FL and other more thought provoking questions while phoning in syndicated reports from the road or on the plane, as was often the case. Larry finally gets his due from Paul and Ringo as a bonafied part of the story and was invited to attend the London premiere. Hear my interview with Larry Kane on those mania days. We also hear Paul sticking to his story of The Beatles being headstrong on “not coming to America until they had a #1 hit”, which is contradicted by Ringo in press interviews for the film, in The Beatles Anthology and by historians who study recording and booking dates, but it’s a nice, romantic invasion story and fits the puzzle nicely. Fact: Ed Sullivan saw The Beatles at London Airport returning from Sweden on October 31st, 1963. They had recorded “I Want to Hold Your Hand” which would become their first American #1, just 11 days earlier. They were booked to play Sullivan long before the song even charted, and as historian Dave Schwensen pointed out, they were booked by Sid Bernstein to play Carnegie Hall before that. Some legal wrangling with Sid Bernstein’s estate over the use of the concert film, could be an issue when the dvd-blu ray is released. Bernstein’s family is suing Apple. One of the benefits of seeing the film in the theater is witnessing the first ever showing of the restored Shea Stadium concert from 1965. Giles Martin helped bring back the audio (where it was initially overdubbed in the studio), then restored Ringo’s original vocal on “Act Naturally”, plus they’ve added back one song missing from the film, “She’s a Woman”, which plays after the concert closer, “I’m Down”, but omitted George’s vocal performance on “Everybody’s Trying to Be My Baby”. Joe Johnson with some Fab fans at the Ft Laud premiere. The film ends with some rarely heard banter from The Beatles 1963 Christmas Message to the fans (edited), which was only officially released only to The Beatles fan club members in the 60’s but has been widely bootlegged. Overall, “Eight Days a Week – The Touring Years” is an enjoyable experience. I’ve seen it three times and with each viewing, find “Something New” to enjoy, so we can all be excited when more interviews and stories come out on the the DVD or blu ray on Black Friday, November 25th, featuring a 2-disc set with more than 100 minutes of extras. To get the the fans review NOW, join The Beatle Brunch Club and hear my special Brunch recap of the film, plus Beatle Brunch programs going back many years from now. I’ll see you on the radio. Well, that’s about all I think. As the Host and Producer of Beatle Brunch, it’s no secret that I’m a fan of superior music and radio production, having spent a full half of my life behind a mixing console. So when I had the opportunity to interview Sir George Martin and his son Giles in 2006, I was almost more nervous to have my personal moment with George than I was to meet and interview Paul McCartney backstage in Tampa the year before. In Tampa, September 17, 2005. Photo Bill Bernstein. But while meeting up with Sir George at the Love Cirque du Soleil show in Las Vegas in June of 2006 was a planned press event, happening upon him in August of 1995 while visiting Abbey Road Studios in St. John’s Wood, London could only occur with a little luck. More on Love Las Vegas later, but first: In August of 1995 I was part of The MerseyBeatle Festival in London and Liverpool, in town to party with several hundred-thousand Beatle fans. We would end up in Liverpool via a “Ferry ‘Cross the Mersey”, then spend the Bank Holiday weekend enjoying more than 200 Beatles tribute bands at legendary venues in Liverpool including The Cavern Club, but our beginnings in London were truly Fab. The London tour included a visit to nearly every sacred Beatles’ cross street in town: The Apple Offices on Saville Row, Ringo & George’s apartment, Jane Asher’s house where Paul wrote “Yesterday”, and of course The British Museum, where the original handwritten lyrics to that song and dozen more are kept under glass, in good company, just steps from The Rosetta Stone. But of course, no Beatle trip to London would be complete without a cross street visit to the famed Abbey Road Studios. Our group arrived via a walking tour with the well-known Richard Porter, and immediately took the obligatory stroll across the zebra crossing, following carefully in the Fab’s footsteps, some even removing their shoes in accurate tradition. But when we slipped through the hallowed gates of The Abbey Road Studios parking lot, we noticed a Rolls that was not rolled into its traditional parking spot, but nudged against the studio entrance steps, with no meter maid in sight posting a bill. Upon closer examination, I spotted something in the backseat, and took this snapshot through the year window, revealing a seat full of brochures hinting at something that was to come: The Beatles Anthology. In this photo you can plainly see the Anthology materials, BUT do you see the erie reflection of John Lennon’s face on the seat? With a group gasp, someone suddenly chirped, “I’m sure George Martin’s inside working on The Anthology”. We rushed up the steps to reception, where we were politely told that George was NOT in the building. Well, the receptionist was half right, because just a few minutes later we spotted him coming down the steps and entering the driver’s side of the Rolls Royce. George, You can drive this car. He was greeted by our tour guide, the late Alistair Taylor, who beamed with pride having seen his old friend once again, clearly pleasing his tour group. I snapped these photos of it all happening, then later, took a train to George’s Air Studios London, where I met and was warmly received by George’s secretary Shirley Burns, who graced me with her autograph, as I requested. But my brush with George Martin doesn’t end there. Fast forward 11 years to the opening of the Love Circue du Soleil show in Las Vegas. Me and other members of the press were invited to take a backstage tour, meet the cast and even interview Sir George and his son Giles Martin, architects of the show’s multi-layered soundtrack. The Martins couldn’t have been nicer. So humble, so kind, so welcoming. They told me stories of creating the soundtrack and even dabbled in some classic Beatle conversation for me, answering questions that were not on the list. Hearing that I was from the syndicated radio show Beatle Brunch, George seemed very concerned that I would Love LOVE when I was going to see it later that night. That afternoon, though, an interesting photo op took place. The press (including Robin Leach), eager to see The Martins in action, asked them to pose in front of the console as if mixing the Love soundtrack. When George and Giles reminded them that the soundtrack was produced some 5200 miles away in London, they didn’t seem to care, and asked them to re-enact mixing anyway, which you can clearly see they did with a cheeky smile on their faces. To show how human, warm and concerned George Martin was that I would Love and appreciate the show, when I met up with him at an after party at a noisy nightclub at The Mirage, he came over to me and asked what I thought of Love. I told him I thought it spectacular and amazing, and loved the mashup mixes. “I’m so glad. I was worried”, George said to me. Worried? “Did I tell you how nervous and honored I was to meet you, sir” I wish I had said to him. We enjoyed the rest of the night. I never had the chance to meet my idol again, but my memory of George Martin lives on. The fact that such a successful and brilliant musician, producer, mentor husband and father could take the time to ask about me about my experience, is the true measure of the man who was more than the music. Thank you Sir George Martin for 50-plus years of magic memories and even more importantly, your personal charm and natural ability to be human while having made such a huge impact on the world of recorded music. Hear Joe J’s 2006 Las Vegas interview with George and Giles, here. A few years back, Star Vista Live created a niche with The Malt Shop Memories Cruise, featuring mainly vocal groups from the 50’s and early 60’s, but the new Flower Power Cruise rocked the Celebrity Constellation like a festival tidal wave. The entire ship was a floating party at sea, a wandering Woodstock if you will. The lineup of artists on board was almost too much to take in, but since we’re not one to miss a party, we found it just right. Joe Johnson (in white shirt and headband) poses behind Jukebox Band and a few thousand of their closest friends on the poolside stage. On board to entertain and mingle was lead singer of The Monkees, Micky Dolenz; the hilarious and energetic Peter Noone of Herman’s Hermits; Peter Asher, famed producer and half of Peter and Gordon; Gary Puckett & The Union Gap; The Buckinghams; Blood, Sweat & Tears featuring Bo Bice; The Grass Roots; The Guess Who; Mark Lindsay of Paul Revere and The Raiders; Jefferson Starship; The Family Stone; and the legendary Felix Cavaliere, whose band The Rascals, wrote and sang some of the most important music of the flower power generation: “People Got to Be Free”, “Good Lovin'”, and “Groovin'” to name just a few. Invited along as The Music Host, I had the great fortune to kick off the cruise with a sail away party at the pool deck filled with Flower Power music! Good Golly Miss Molly, Deejay Prince and I had that deck rockin’. There were stages set throughout the ship. Deck 10’s pool stage was a sun-soaked favorite of the afternoons, yet by sundown, was transformed into a near all-night festival with performances that would definitely keep the peeps on decks 9, 8 & 7 from catching any zzz’s. But not to worry, all clapping hands were on-deck when Gary Puckett, The Grass Roots, The Buckinghams, Mark Linsday and The Family Stone rocked the stage. Dance to the Music my friends, and boy did we ever! I was privileged to host three fact and fun-filled artist panels that had the packed audience in Reflections Lounge experiencing every emotion: from listening intently to the stories of how the songs were written, to roaring with laughter when Felix relagated the tale of how The Rascals were told to “keep it down because the elephants were getting mad”. We learned from The Guess Who’s Gary Peterson that the woman in “American Woman” is The Statue of Liberty. Micky told us that he watched The Beatles first Ed Sullivan Show on a small black and white TV balanced on the roof of his van, and The Family Stone shared what it was like to play at Woodstock with a 12 hour delay. L-R: Music Host Joe Johnson, Mark Lindsay, Greg Errico and Jerry Martini of The Family Stone and Gary Puckett shared stories from the road. There was so much more to do and see on board, like sing-a-longs with two Beatle bands Britbeat and The Jukebox, plus guitarist Hal Bruce courtesy of Abbey Road on the River, tributes to Joe Cocker, The Blues Brothers, Mick Jagger, Cher and Janis Joplin, a Woodstock presentation, a celebrity wine tasting with Micky and Gary, a psychedelic 60’s dance party, even a renewal of vows ceremony with “Reverend?” Mark Lindsay presiding. Even the TV in your cabin glowed with classic 60’s flicks like “Easy Rider”. Above, Mark Lindsay and Joe J at the “Make Love, Not War Renewal of Vows Ceremony. Below: Micky Dolenz and Joe J share a laugh, while Carl Giamarese of The Buckinghams and JJ prepare for the stage. But perhaps the most rewarding part of The Flower Power Cruise for me was meeting up with hundreds of Beatle Brunch listeners like Jill, Jennifer, The Mayrsohns, Cincinnati Steve and getting to meet our very excited winners of the cruise for two, Olivia Pilgrim-Angeloro and her husband John who brought a guitar to be signed. We can’t wait to be back on board The Flower Power Cruise 2017 sailing out of Ft. Lauderdale February 27 to March 4. A partial list of stars has already been posted. Check em out and get early booking savings at FPC and watch my interview here with Alan Rubens VP and Executive Producer of the FPC. All photos in the story by Rafael Murciano. Just like we see on American Pickers or Pawn Stars, each of us has the hope of coming upon that long-lost treasure to add to our collection, or better yet, make us rich! If you’re a Beatle Fan reading this, you’re probably one day hoping to find a box of sealed Beatle Butcher Covers at a garage sale for $5 or a set of all four signatures (verifiable) on the back of an envelope in your neighbor’s trash. Well, I had a similar experience, though not quite as lucrative, but fun! Roll up for the Mystery Tour, won’t you? When I worked in Miami radio, we were constantly adding new stations and new people, so on more than one occasion, I vacated one studio and moved to another. Over the years I’ve collected, or piled up, stacks of old tapes, CDs and radio production packages and jammed them in closets. 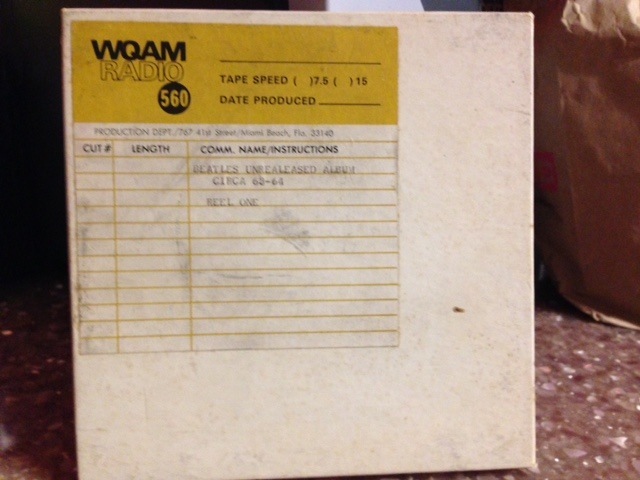 So when cleaning out the storage bin in a studio that I used to occupy, making room for a new station in our building taking over that space, I happened upon a tape that read: Beatles Unreleased Album Circa 63-64. Well, naturally my head saw the world spinning ‘round and ’round, imagining getting a cash-call from Paul, or sitting front and center at a Sotheby’s auction awaiting a windfall to land in my lap. I needed to find out what was on that tape. Was it rare outtakes? Was it the long rumored 29 minute version of Revolution #9? Or was it one of the countless private tapes that John, Paul, George and Ringo took home from Abbey Road Studios back in the day? Well, to find out, I snuck through the radio station halls like Spy vs Spy to an available studio with a Studer: The same brand of tape machine The Beatles used. It was kismet! I was about to be Ringo Rich! But before I spooled on the hill, the 50 plus year-old tape on the spindle, I took a moment to dream about my new Hawaii mansion, big enough for the entire Beatle Brunch family! “Enough” I said! Let them buy their own place LOL. Let’s get on with MY retirement. I first powered up my video recorder to get it all down for when Brad Meltzer’s Lost History calls, and now the reveal is here for you to see. 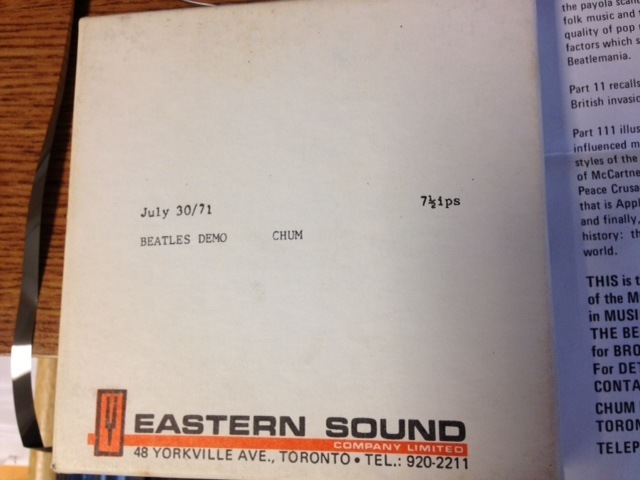 Next month, I’ll share the audio from this 44 year-old Beatles radio show demo I found in the same closet. So far, I’m still not living in Hawaii, but I think I can UBER to the auction. Ringo’s Starring on a new CD out Tuesday March 31st. His 18th studio release called “Postcards from Paradise” is seemingly timed with his upcoming induction into the Rock and Roll Hall of Fame on April 18th, where he’ll be brought into the club by lifelong pal, Paul McCartney. “Postcards from Paradise” (not to be confused with “Postcards From The Boys”, a book of mementos sent to Ringo from his pals, published in 2004), is Ringo’s new CD with 11 tracks, all written by Ringo and a fellow musician, with one exception: “Island in the Sun”, the first song ever written by Ringo and his All Starr Band: fellow members Richard Page, Gregg Rolie, Todd Rundgren, Steve Lukather and Gregg Bissonette. The standout track and title song, “Postcards From Paradise” is a wistful, bouncy number that strings together Beatles and Ringo’s lyrics to tell the story of the drummer’s rise to fame and fortune. Lyrics like “I searched here there and everywhere until I saw you standing there” fill the ditty with audio mementos of Ringo and The Boys‘ 8 years together. Perhaps it’s Ringo’s upcoming induction into the Rock Hall that allows the often forward-looking drummer to take on the back beat of his life, though he’s done so before in songs like “Liverpool 8”, “In Liverpool” and “The Other Side of Liverpool”. Do I see a theme here? 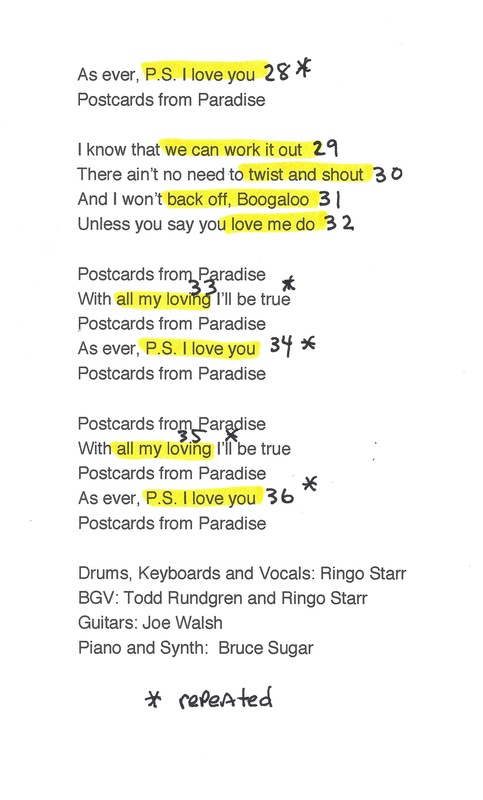 In case you’re wondering, there are 30 lyrical references to Beatles songs, compositions and Ringo tunes in “Postcards from Paradise”, 6 are repeated in the songs chorus, adding up to a total of 36 and only one was NOT composed by a member of The Beatles. Can you guess which one? The answer and one other bit of trivia is coming up. The new CD opens with a track called “Rory and The Hurricanes”, written by Ringo and Dave Stewart, that clearly harks back to his drum beginnings, in an upbeat tribute to his first band, along with a nod to Tommy Steele, often regarded as England’s first teen idol and rock and roll star. “You Bring the Party Down”, track 2, was written by Ringo and Toto member Steve Lukather. Hey, Debbie Downer, this one’s for you. “Bridges” was penned by Richie and his brother in law, Joe Walsh, with encouraging lyrics like, “Down every road we come to bridges. Crossing Bridges is the best way to grow”. “Right Side of The Road” was co-written by Richard Marx, a former All Starr Band member and hit maker on his own. “You’re on the right side of the wrong side of the road” and “something’s gotta change”, say the boys. Beatle-buddy Peter Frampton (who has a son named Julian), plays guitar on this song and “Let Love Lead”. Another Marx co-penned effort is called “Not Looking Back”, a heartfelt dedication to wife Barbara, where Ringo sincerely says “I’m looking forward, not looking back”. “Bamboula” is “engagin’ the ragin’ that’s Cajun with gumbo rumble and mumbo jumbo”. It rolls along with pure Cajun lyrics, a spirited back beat and a hearty, upbeat lead vocal by Ringo that’s “callin’ …you all in…New Awlins”. Though a month late for Mardi Gras, “Bamboula” won’t fool ya, it’s guaranteed to be played up and down Bourbon Street this year. “Island in the Sun” is the track written by the entire All Starr Band. In this reggae flavored tune, the band’s searchin’ for that island in the sun in lyrics like “don’t worry ’bout the future but don’t forget about the past”, a theme that’s running through this CD. For “Touch and Go”, Ringo reunites with former Roundhead members Gary Burr and Steve Dudas with Burr sharing co-writing credit. “Confirmation” reaffirms a love that wasn’t easy and features Glen Ballard, who is most know for co-writing and producing Alanis Morissette’s “Jagged Little Pill” plus he’s worked with dozens of other monster hit-makers including Michael Jackson, Dave Mathew’s Band and Shakira. “Let Love Lead” is the final track on the CD, co written by country singer / Grammy winning musician Gary Nicholson who shares a past with All Starr Band member Todd Rundgren as having both been in Nazz at different times. “Let Love Lead” ends the CD on a positive note and asks you to allow love into your heart when you’re having a tough time and don’t know what to do. You know what you can do? Pick up or download Ringo’s “Postcards from Paradise”, due out Tuesday from Universal Music and two days later on vinyl. 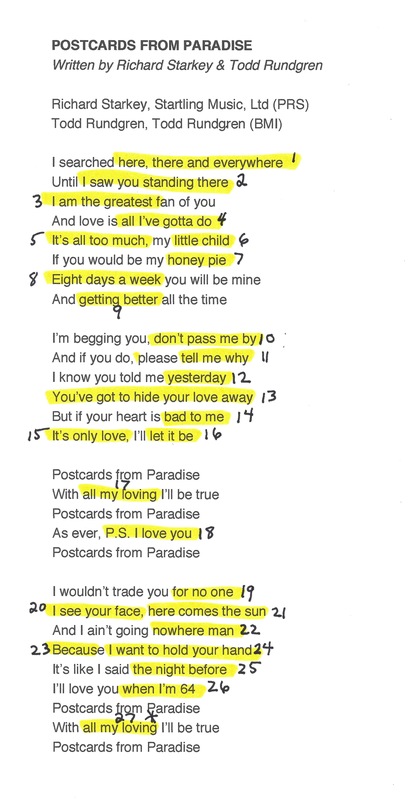 As for the count of Beatles and solo references in the title track “Postcards from Paradise”, it’s 30 with 6 lyrics repeated as mentioned earlier. The only lyric quoted from a song NOT written by Lennon-McCartney-Harrison or Starr is “Twist and Shout”, a song written by Bert-Russell and first made famous by The Isley Brothers. You may also have spotted the “Bad to Me” lyric, a song written by Lennon – McCartney, but recorded by Billy J. Kramer and The Dakotas. Listen to hear tracks from Ringo’s “Postcards from Paradise” on Joe Johnson’s Beatle Brunch with a chance to win your copy in the Mind Games portion of the program. Go to www.brunchradio.com to find a station that streams the show, or join The Beatle Brunch Club for pennies at day. Remember to follow Beatle Brunch on Twitter and connect with us on Facebook. The following opinion piece was written by Nikki Denet. 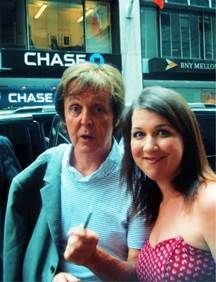 Beatle Brunch listeners / readers may know Nikki for her excellent behind the scenes coverage of two significant Macca events: Paul’s secret performance for Ringo’s 70th birthday, and Paul guest starring and playing on The Colbert Report. Nikki’s a young Beatle fan, so her take on Paul working with Kanye will more than likely differ from anyone’s opinion who’s over 50. I’ve heard the Kanye song “All Day”. It doesn’t do anything for me, (I can’t even count the amount of “N” words in it) BUT, the fact that The Beatles made it very clear that they were inspired by rhythm and blues, or music by black artists of the 50’s and early 60’s when they started out (they covered The Isley Brothers, Larry Williams, The Shirelles, The Donays, Smokey Robinson, Little Richard and dozens more and even told Larry Kane in 1964 that they would boycott their September 11, 1964 concert at The Gator Bowl in Jacksonville if there was going to be any segregation), gives us pause to consider the current musical synergy between Sir Paul and Sir-Interupptus. We’ve loaded the song on our website if you dare listen. It’s on The Vox amp on the upper left corner of our home page http://www.brunchradio.com. Now Nikki, “I’mma let you finish”. “All Day,” Kanye West’s latest and greatest new track from his upcoming seventh album “So Help Me God,” features Paul, Allan Kingdom and Theophilus London, and samples a 45-year-old demo Paul made that was an experiment in trying to write a song using only two fingers on the guitar, which eventually became “When The Wind Is Blowing,” from the Rupert The Bear soundtrack. 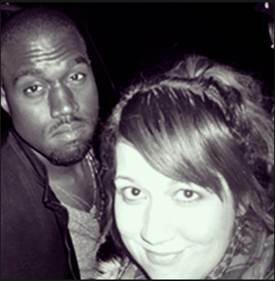 Unlike his other Kanye-collaborations “Only One,” and “FourFiveSeconds,” (the latter including Rihanna, landing the trio in the top-5), “All Day,” is much more lyric-heavy, high-powered and beat-driven than its predecessors, making it almost reminiscent of 2013’s “Yeezus,” and is a clear sign that, unlike the first two tracks, Paul hasn’t gotten Kanye to mellow on us completely. The general reception of this collaboration – certainly among longtime McCartney/Beatles fans – has been mixed, with confusion and for some, even outrage. Of course, it can’t be denied that it’s an unusual pairing, and it’s human nature to judge what we don’t know (“we mock what we don’t understand”, to borrow a phrase). Hip-hop is one of the few musical genres that Paul has previously never attempted to conquer, but let’s be honest, it was inevitable that he would. Paul McCartney didn’t get to where he is by placing musical limits on himself, and even at 72 years old, he continues to strive towards exercising and challenging himself creatively. Quite simply, it would be un-Paul-like of him to continue to make contemporary music without venturing into what has become such a powerful force in the music industry. It would certainly make sense that Paul would begin to work with – and pass on his creative savoir-faire to – younger artists at this point in his career. Hip-hop has become synonymous with contemporary music, even if contemporary music is highly criticized, since it is music that is not made with the conventional forms of “skill” and “talent” that some associate with music that is considered to be worthy of being labeled “good.” Nevertheless, contemporary music is based, as it was in years past, on utilizing and taking advantage of what modern technology has afforded us. 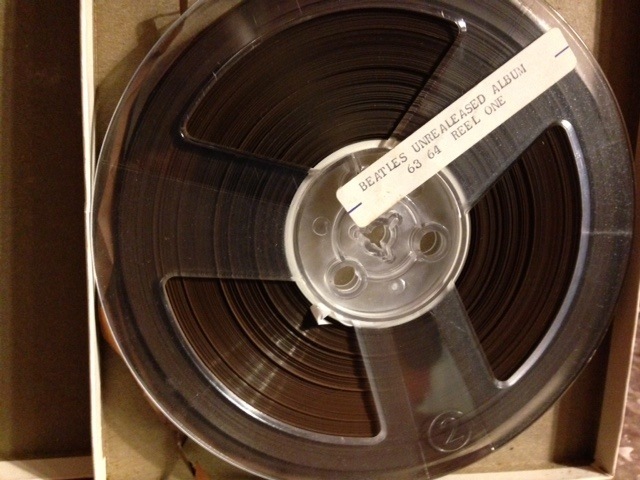 The Beatles themselves were notorious – and celebrated – for using new methods of recording techniques and developing methods to assist them in deviating from the traditional ways in which music was recorded. Similarly, Hip-hop is a genre that challenges the conventional creative mold completely, which likely led to the delay in it being accepted as a legitimate musical category (The Grammys did not even recognize rap/hip-hop music until they introduced the “Best Rap Performance” in 1989,) and in decades since, has advanced, cultivated and transcended from a popular genre into a universally celebrated lifestyle. Kanye West is undeniably at the forefront of this influence, and continues to indulge himself in every single aspect of the creative process of making a hip-hop record, so if Paul were likely to collaborate with anyone on his foray into the genre, few people would’ve likely been more qualified. Critics may believe this is Paul’s embarrassing attempt at “staying relevant,” but then, what artist doesn’t work at staying relevant? On the other hand, for someone who has achieved as much as Paul has at this point, no matter what kind of music he creates, should there even be a question as to whether or not he’s attained relevance? It’s actually pretty amazing that Paul chooses not to spend this point of his career upholding some unachievable standard that deems him “too good,” to work with contemporary artists. Considering his age and his legendary status in popular music, the fact that he is still modest in his willingness to continue to contribute to a genre that he’s played such an significant role in revolutionizing is rather incredible. The man is no snob, especially when it comes to his music. Kanye achieved much of his early success (first as a producer, and then as a rapper) in hip-hop by sampling artists that you wouldn’t hear on a typical hip-hop record; fusing them into his music to create a unique sound that appeals to hip-hop as well as mainstream popular music. Over the course of his career, he has sampled and incorporated an eclectic mix of songs into his music such as Elton John’s ”Someone Saved My Life Tonight” (“Good Morning”), Steely Dan’s “Kid Charlemagne” (“Champion”), Brenda Lee’s “Sweet Nothings” (“Bound 2”), Nina Simone’s cover of “Strange Fruit” (“Blood On The Leaves”), Curtis Mayfield’s “Move On Up” (“Touch The Sky”), and Bon Iver’s “Woods” (“Lost In The World”) among countless others. Additionally, every one of Kanye’s albums details a distinct musical progression that most contemporary artists fail at attaining. This is predominantly why Kanye is consistently credited with changing the face of hip-hop, because he aims to defy the convention of what tradition deems as “good” music and like Paul, he is constantly searching for new outlets to showcase his creativity. Since it’s clearly Kanye’s M.O. to sample songs from highly respected artists, it’s expected that a product of his and Paul’s collaboration would be a track that samples one of Paul’s original songs. “All Day,” does what “Only One,” and “FourFiveSeconds,” didn’t do: refuses to play it safe. From a creative perspective, “Only One,” and “FourFiveSeconds,” are both songs that are not lyric-heavy, and they do not attempt to deviate that far from Paul’s comfort zone as much as it does Kanye’s. Paul is kept safely in the background on tracks, and Paul’s fans who are not familiar with hip-hop or Kanye’s music can listen to it without much cause for complaint. In contrast, “All Day,” changes this formula completely, and rightfully so. It transcends the invisible boundary that musical genres dictate, it challenges and adds yet another facet to Paul’s musical breadth (something that is quite difficult to achieve in a 50 plus year career). It familiarizes Paul’s fans with a contemporary genre that they may have been previously ill-versed in, and it also transforms and pushes his lesser-known 45-year-old tune onto the mainstream stage and into the ears of a brand new audience. Check out the views and recent comments on any YouTube video of Paul’s 1999 Parkinson Show appearance (where he demonstrated the “Where The Wind Is Blowing” passage). The song is doing its job already.